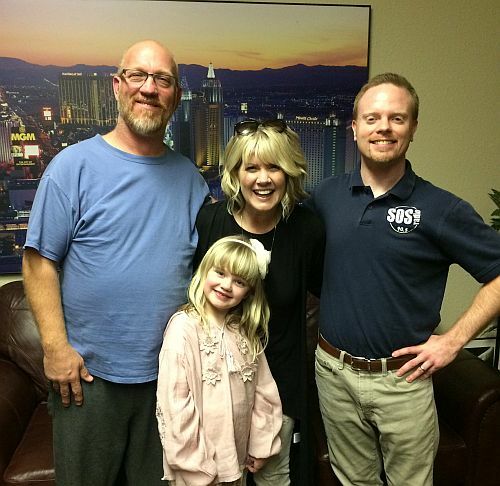 Curb artist Natalie Grant visited KSOS/Las Vegas (SOS Radio) while she was in town for the Roadshow tour. KSOS ran a contest for a listener to have the chance to interview Natalie while in she was in Las Vegas. Pictured are the winner, Mark Conoly, Natalie Grant, her daughter, Sadie, and KSOS APD Dan Young.